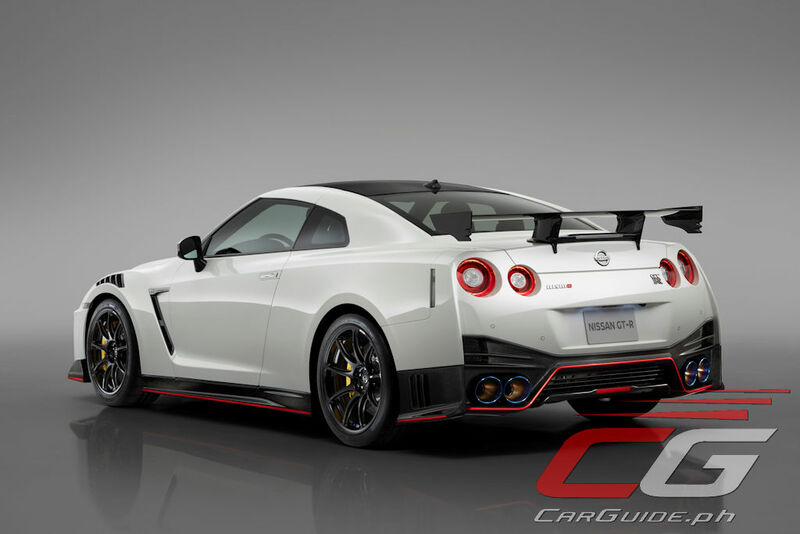 Setting the most potent and exclusive of all GT-Rs apart from the rest of the pack is the amount of carbon fiber found throughout the car, including the front and rear bumpers, front fenders, hood, roof, side sill covers, trunk, and rear spoiler. 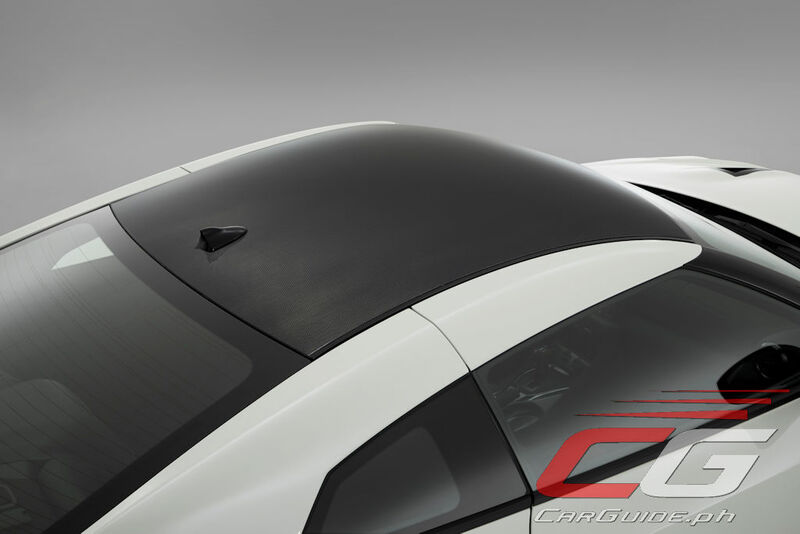 Each component has been improved to cut weight, increase downforce, and enhance aerodynamics. 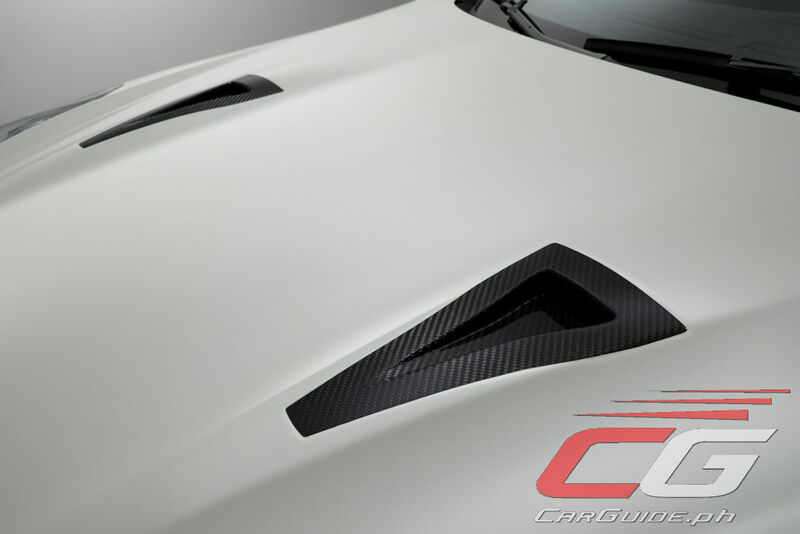 These exterior parts alone have resulted in a total weight savings of 10.5 kilograms, in addition to nearly 20 kilograms of reductions from other upgrades and new components. 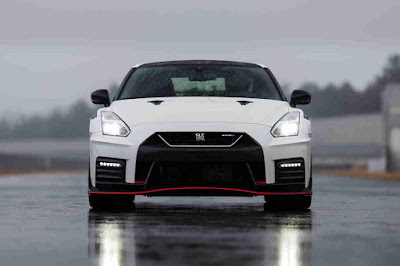 The 2020 GT-R NISMO’s exclusive 20-inch RAYS forged aluminum wheels are lighter than before and incorporate a nine-spoke design that enhances their rigidity. Newly designed Dunlop tires, with a wider tread and fewer grooves, increase the contact patch by 11 percent. This results in higher cornering force, enhanced steering response and improved rolling resistance when compared with the previous model. For the 2020 model, the engineers sought to improve what was essentially already mechanical perfection. 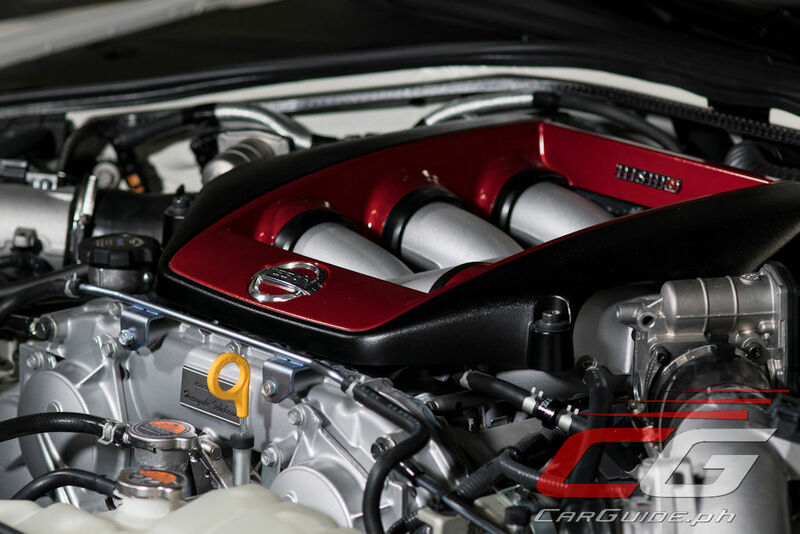 Nissan’s 3.8 twin-turbocharged V6, each handcrafted by its own takumi technician, remains the heart of the GT-R’s drivetrain. 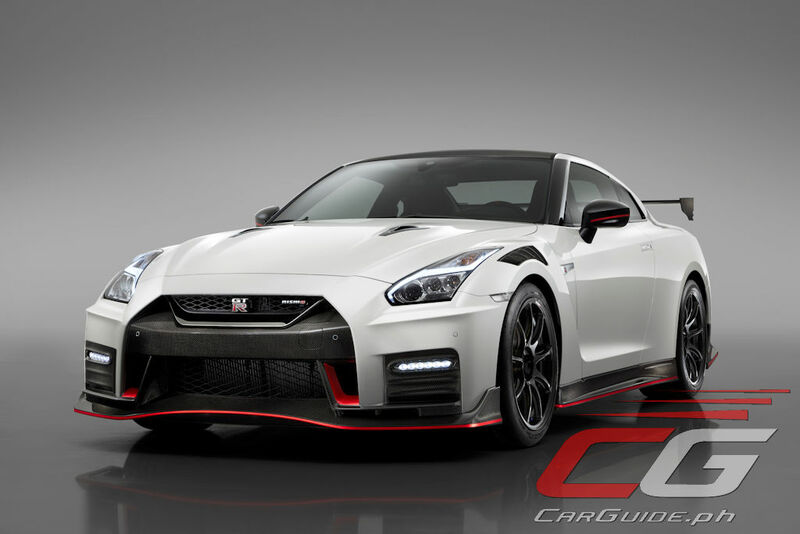 The GT-R NISMO features an exclusive turbocharger design, direct from the GT-R GT3 race car, with a modified turbine shape and fewer blades. This optimizes the flow rate and enhances the acceleration response by 20 percent, while maintaining the same 600 horsepower, 652 Nm of torque outputs. 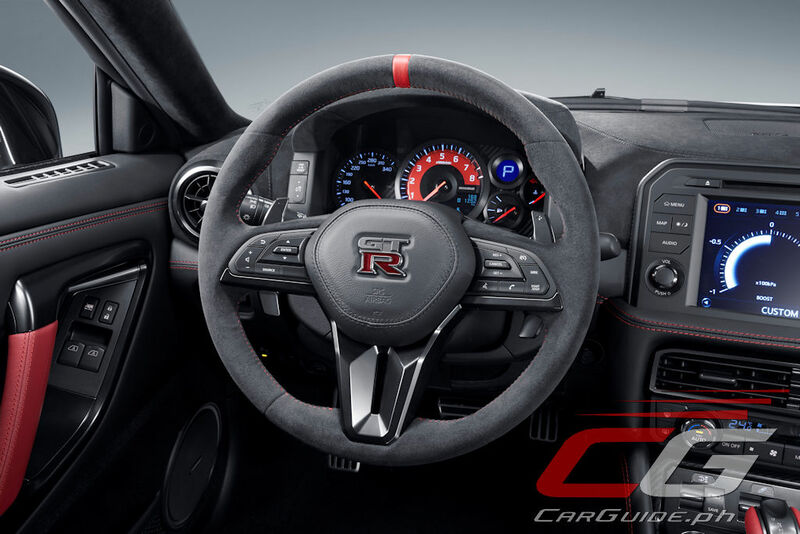 The car’s revised 6-speed dual-clutch transmission features a refined “R mode” that not only shifts faster but also optimizes gear selection, especially when exiting corners. This enhances the feeling of acceleration and deceleration on both road and track. The adaptive shift control has also been programmed to adapt shift schedules to the user’s driving style. This makes it possible to drive in a law-abiding way on public roads and in a highly spirited fashion on a race track, without manually changing modes. When it comes to handling, the 2020 GT-R NISMO has few equals. Its updated suspension tuning improves cornering stability, with enhanced yaw rate response and smoother ride quality. The steering features better linearity and precision than ever, requiring minimal corrections at speeds of up to 300 km/h. The absolute performance theme is also fittingly reflected by the addition of a carbon ceramic brake system. 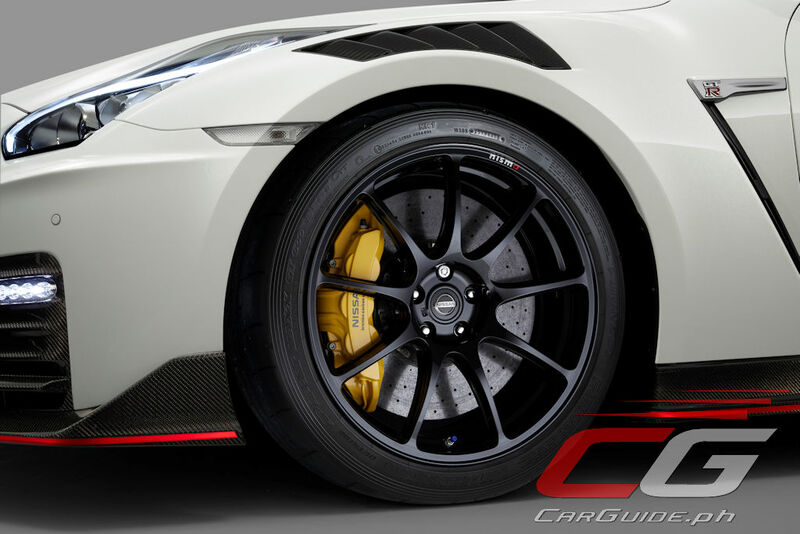 The combination of the Brembo carbon ceramic rotors, 410 mm up front and 390 mm at the rear, and Brembo calipers significantly improve reaction time, durability and overall stopping performance. At the same time, their lightweight nature decreases the unsprung weight on each wheel, allowing the car to trace the intended driving line in a highly precise manner.